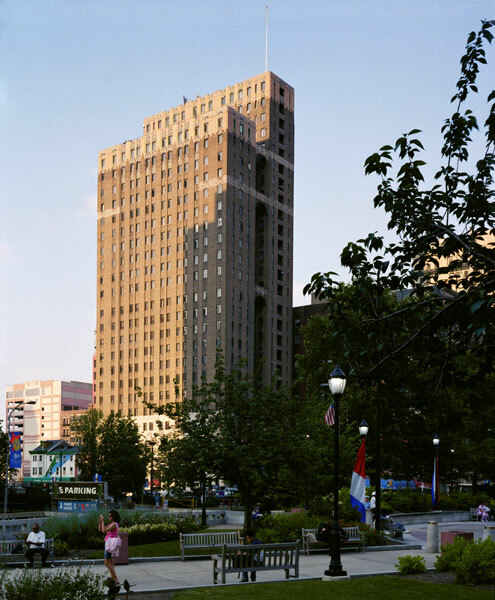 Today, restored architectural features and contemporary amenities have transformed The Metropolitan’s Center City Philadelphia apartments for the modern lifestyle. These apartments feature original limestone details, terracotta tiles, and hand-carved cornices, and also have been updated with modern features that include renovated kitchens, a state-of-the-art fitness center and gym, rooftop deck with 360-degree views of the city, dog wash station, and more. Ideally located just steps away from LOVE Park and City Hall, The Metropolitan offers apartment homes in Center City Philadelphia in the heart of Philadelphia’s urban center.